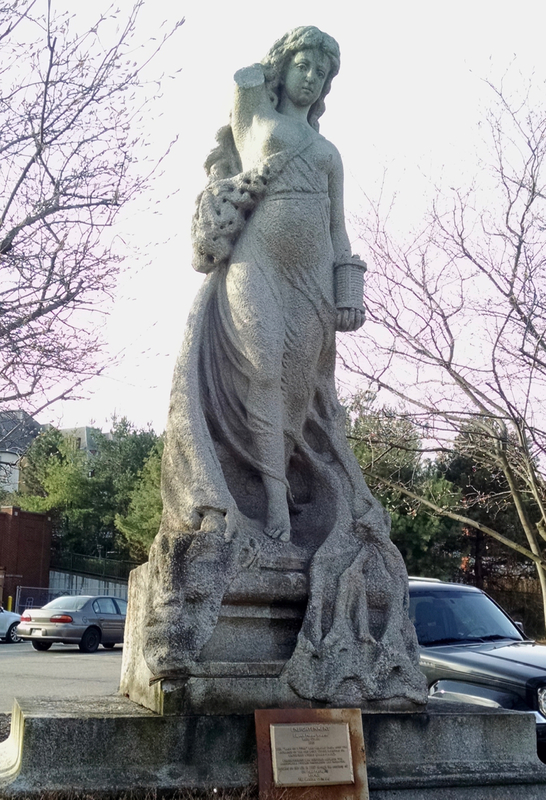 This sculpture is part of a larger sculpture that once graced the top of the old post office building in downtown. There were two identical sculptures originally, and each was comprised of three figures. As a group they are known by several titles - Stone Ladies, Ladies of Stone, and Stone Maidens. Individually, they are Enlightenment, Industry and Navigation. We believe this particular copy of Enlightenment was once located outside of a restaurant on Mt Washington. It was relocated to this corner in front of the Rite Aid in 1997. The other copy of Enlightenment still has her right arm, but whatever it originally held has been broken off. 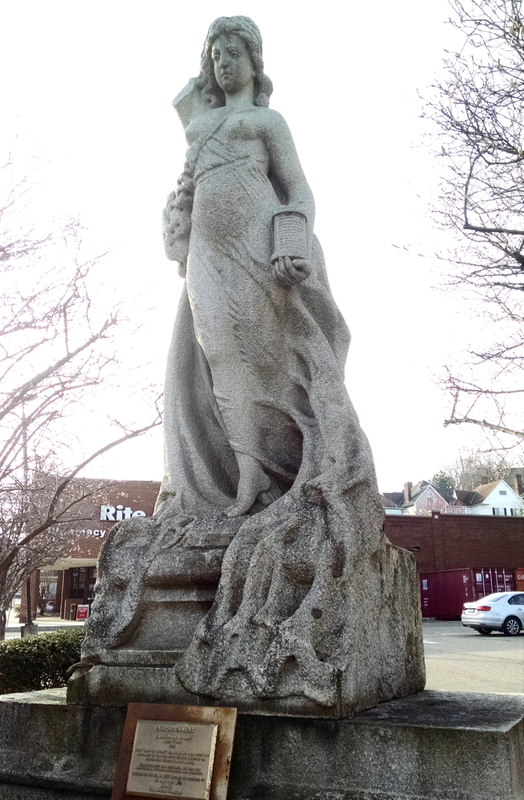 Two of the figures (Navigation and Enlightenment) are now located on the Northside. Industry is by itself at one location, and with the second copy of Navigation at another location in Station Square.